Scaffolding is commonly used on building sites up and down the country. With the aim of making working at heights safer, scaffolding is used by workers from a whole host of different industries, such as builders, roofers, electricians, decorators and building inspectors. It is not just building sites where you will find scaffolding. It is used for building and maintenance in residential areas, shopping centres, hospitals and busy high streets. The risk of injury from scaffolding accidents is therefore not just limited to those working on scaffolding, but also those using the surrounding areas. The National Access & Scaffolding Confederation (NASC) published data that shows that the number of scaffolding related accidents reported by its members increased by 9% in 2014. Many of these accidents are caused by unobserved safety processes or poorly maintained scaffolding that is ultimately unsafe and unfit for purpose. Employers and scaffolding companies have a duty of care to employees and the wider public to ensure that scaffolding is safe and well maintained to ensure that it is legally viable for use. Employers and occupiers who fail in their duty of care to staff, visitors and the public are likely to be liable for injuries that arise out of accidents resulting from these breaches. Scaffolding accidents can cause significant injuries to workers and passers-by alike. If you have suffered an injury following a scaffolding accident that wasn’t your fault, you may be eligible to make a claim for compensation. Our friendly and experienced solicitors will be pleased to offer you a free initial consultation to assess your case and to determine whether you are likely to make a successful claim for compensation. Scaffolding is used on a daily basis in a safe and responsible manner. In most cases it provides a safer option for carrying out work at height when compared to alternative options such as ladders. But it is clear however, that working at height does bring with it many inherent dangers, which can create the risk of significant injury if the appropriate health and safety regulations are not observed. Work at Height Regulations 2005 – Employers that control any activity where working at height is required must ensure that work is properly planned, supervised and carried out by competent people. Provision and Use of Work Equipment Regulations 1998 (PUWER) – under these regulations employers must ensure that all work equipment is safe and suitable for use, including the provision of a regular maintenance programme. Personal Protective Equipment at Work Regulations 1992 – this regulates the correct use and provision of PPE in the workplace, such as safety boots, helmets, etc. 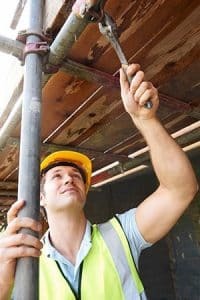 Am I eligible to make a scaffolding accident claim? If each of the above statements are applicable to your circumstances, it is likely that you would be entitled to pursue a claim for compensation against the party at fault for your accident. Examples of potential claims may include pedestrians who are injured by falling objects or damaged scaffolding, or workers that have sustained an injury due to poorly maintained scaffolding or unobserved safety measures. Whatever the specifics of your case are, we are happy to discuss your accident to help determine if you have a valid claim for compensation. To find out more, simply request a call back using the contact form above and one of our solicitors will be in touch. What will I need in order to make a scaffold accident claim? In order to make a successful accident claim, your solicitor will need to prove who was responsible for the accident. They will also require evidence of the severity of any injuries you have sustained, and any financial losses you have incurred as a result. In order to do this, the solicitor will work closely with you to gather as much documentation, reports and evidence as possible in order to compile a strong case. Is there a time limit in place to make a claim for a scaffold accident? In order to be eligible to make a compensation claim for a scaffolding accident, you must initiate proceedings within three years of the date of the accident. 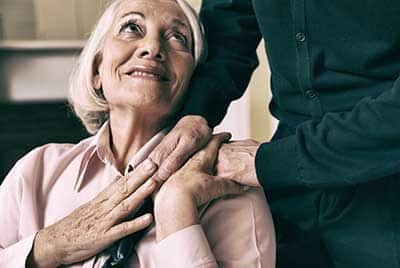 If you leave it too late, in most cases you would no longer be entitled to pursue your claim, as it would be considered as time-barred under the Limitations Act 1980. Our solicitors urge clients to commence any work related accident claims at the earliest opportunity to ensure that it is easier to access documents, reports and evidence as well as utilise fresh and recent memories of the accident. You can find out more information about the time limits for making an injury claim here: How long do I have to make a personal injury claim? How much compensation will I be able to claim for my accident? Our experienced solicitors will be able to offer you a realistic guideline of the likely compensation offer that you should be able to achieve during your initial consultation. We will then work closely with you to gather as much evidence and documentation as we can to build a strong case against the negligent party, and help secure you the highest possible settlement award. Why should I choose to work with your personal injury solicitors? We fully understand and appreciate that many people find the prospect of embarking upon a legal case against another person or company a daunting prospect. If the claim is against the company you work for, it can be even more stressful. However, it is important to keep in mind that you have a legal right to seek compensation if another person or company caused your injury. If you are not sure about making a claim, and would simply like some advice, we are more than happy to help. Feel free to contact us for an informal chat about your accident, where we will be able to answer any questions you may have and let you know how we can assist you in accessing the compensation that you rightly deserve.